Perfect for vehicle loading and unloading, parcel distribution centres and depot’s, packaging, machine-to-machine-linking and all cross docking applications. Very easy to quickly move in or out of trucks for faster, safer, easier loading and unloading. Support legs are fully adjustable from 770mm to 1095mm as standard. 150 Kg’s load capacity per linear metre based on a level working height. 450mm, 600mm and 750mm standard conveyor widths (900mm width option). All support legs have welded braces for additional strength and rigidity. Heavy Duty Castors – 160mm x 50mm swivel castors for maximum manoeuvrability. The castor wheel incorporates a foot operated brake. SEW EuroDrive AC Motors – Conveyor speed is fully adjustable from 10 to 40 metres per minute; 0.09Kw for 230V/240V single phase supply. Motor Overload Protection – all drive motors have individual overload protection and LED warning to clearly indicate trip out. State-of-the-Art, all steel electrical control cabinets sealed to IP55 standard. Zero-Pressure accumulation provides “non touch” pressure free product queuing. Indexing – electronically controlled spacing of packages and cartons for easier handling and bar code scanning. Conveyor fully complies with all CE legislation. 40mm dia, steel zinc plated tube with twin grooves and full precision bearings for maximum life. Roller drive via heavy duty polyurethane drive belts. Our State-of-the-Art steel cabinet houses a top specification AC Inverter with keypad. The cabinet is mounted on a lockable sliding tray to enable easy user access for any adjustments or maintenance. 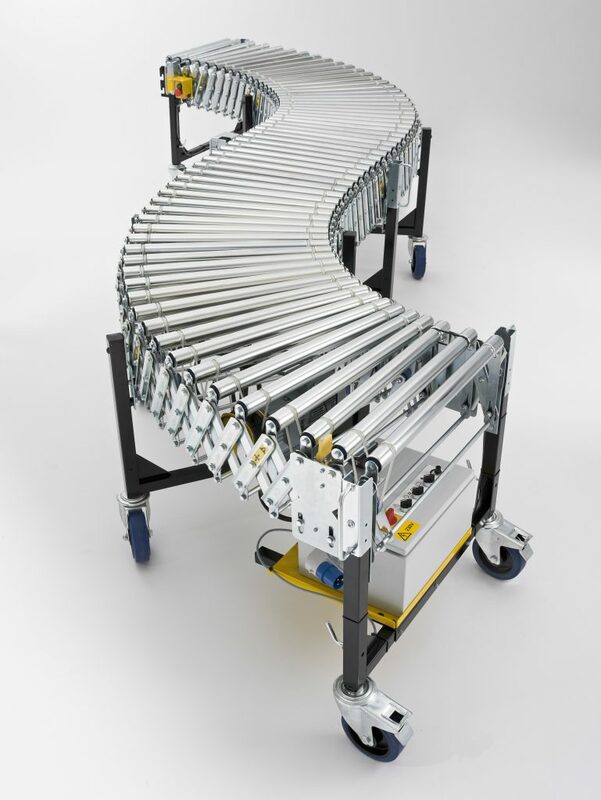 UNI-FLEX™ powered conveyors can be fitted with under roller photo optic sensors which will act as an electronic package stop. When a carton or package reaches the discharge end of the conveyor it will automatically stop. When the package is removed the conveyor will start automatically until the next package travels to the discharge point again. 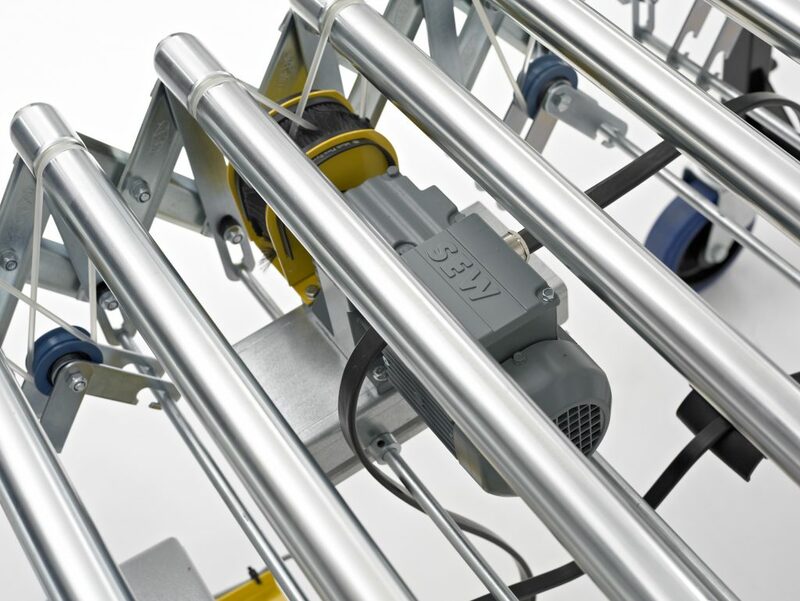 Quickly and easily connects two or more conveyors together to expand your system.